Originated in the 19th century by British Army officers, Snooker steadily gained popularity and is now considered a globally well-established sport. Snooker is deemed as a tactical and graceful sport and is currently a total of 49 countries. Allsportspk presents a pick of top snooker players of the past and modern era, who attained the legendary level in this sport. Joe Davis influenced Snooker is such a way that even today players like Ronnie ‘O Sullivan consider him an all-time great. With 687 century breaks to his name, Joe Davis dominated this sport for over 30 years. During his entire career he won 15 Word Snooker titles and was remained unbeaten as the World Champion for a 20-year period. 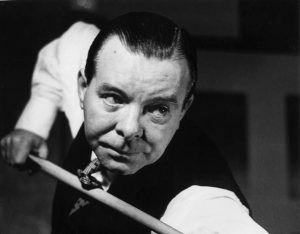 Apart from his achievements, it was his aura and style of play that impressed the audience and this is why Davis is regarded as the builder of the modern snooker that we see today. Due to his fast play and sheer snooker skills, Alex Higgins earned the nickname of “Hurricane Higgins”. Irish by birth, Higgins is considered as one of the most iconic personalities in this sport. 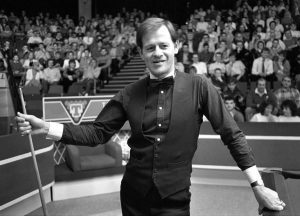 With a total of 82 century breaks to his name, Higgins career winnings amounted to £711,999 and he also won the World Championships in 1972 and 1982 respectively. However, his greatest achievement was his contribution in bringing snooker to a larger audience and this is why he was more popularly known as the “People’s Champion”. Born in Ireland, Dennis’s trademark were his spectacles and great sense of humor. With a total 79 century breaks to his name, Higgins won the Maters and Grand Prix tournaments and his career winnings amounted to £1,426,294. 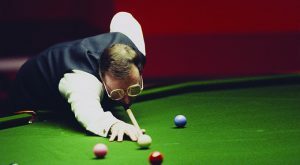 Beating the World number one, Steve Davis was the highlight of Dennis Taylor’s shining career. This triumph plus his 2 ranking final titles put him in history as one of the greatest snooker players ever. Nicknamed as “The Torturer”, “The Jester from Leicester” and “Sat Nav Selby”, Mark Selby is the number 1 player in this sport according to World snooker rankings. With more than 500 century breaks to his name, Mark Selby’s prolific skill of break building is widely known in snooker circles worldwide. Mark Selby gained the title of the World Champion in 2014, 2016 and 2017 and his current form can definitely earn him a hattrick in 2018. With his total earnings exceeding £5,003,871 Mark Selby is still playing snooker at his prime. A contemporary great, Ronnie O’Sullivan is considered a modern great and practically a genius of this sport. His ability to just fly past his opponent in a swift manner earned him with the famous nickname, “The Rocket”. His 948 century breaks plus his 14-time 147 breaks is a prime example of this contemporary great. In his entire career so far, Ronnie has earned 33 titles and his career winnings have reached a total of £9.7 million. Plus, Ronnie has the honor of being the World Champion for a total of 5 times and is still the favorite to win many more. 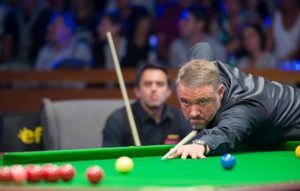 Nicknamed as “The Golden Boy”, “The Ice Man” and “The King of the Crucible”, Stephen Hendry redefined the era of 1990’s. As, in a total of 10 years, he won 7 titles and took his popularity to a global level. His record of holding the highest number of ranking titles i.e. 36 is why he is the still considered to be all-time great in this sport. 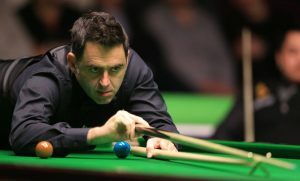 With a total of 775 century breaks plus his 11-time 147 breaks earned him a total of £8.97 million in career winnings. For a total of 9 years, Reanne Evans dominated the game of snooker in which she broke the World record by winning Ladies World Snooker Champion title, 10 times in a row. She won a total of 61 straight snooker matches and during this time many labelled her as an all-time great of this sport. Her most famous win was against John Higgins, who was the reigning Men’s snooker champion at that time.